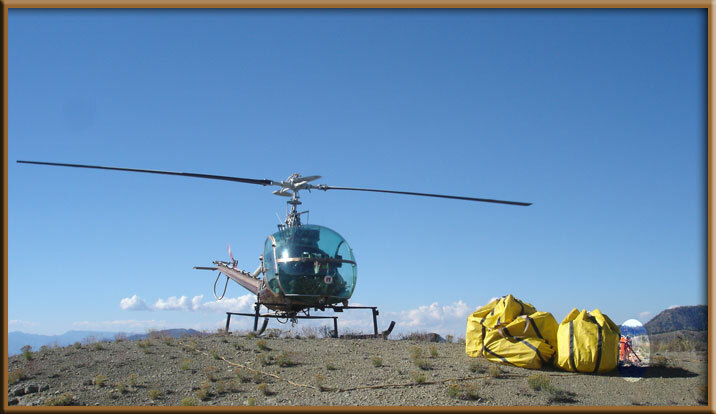 SAFE and DEPENDABLE Helicopter Services anywhere in the Western United States. 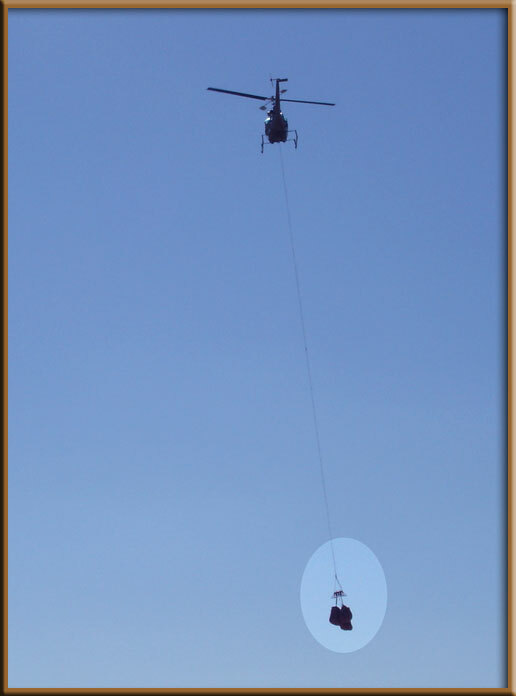 With our 3 - Hook Carousel on a 100 Foot Long Line below the Helicopter. 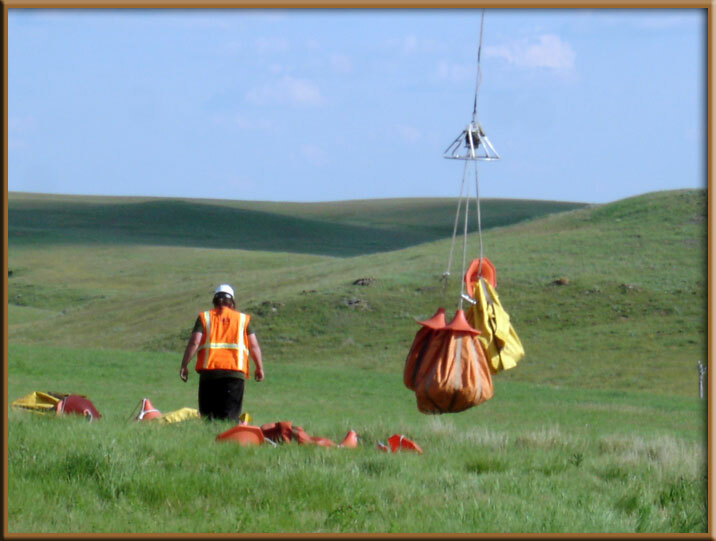 We can deliver a Single Load or Three Separate Loads to Three Separate Locations in a Single Flight. Our 3 - Hook Carousel is made with aluminum tubing and weighs only 36 Pounds. The oval shaped aluminum skirt has no sharp corners that might injure ground personnel. 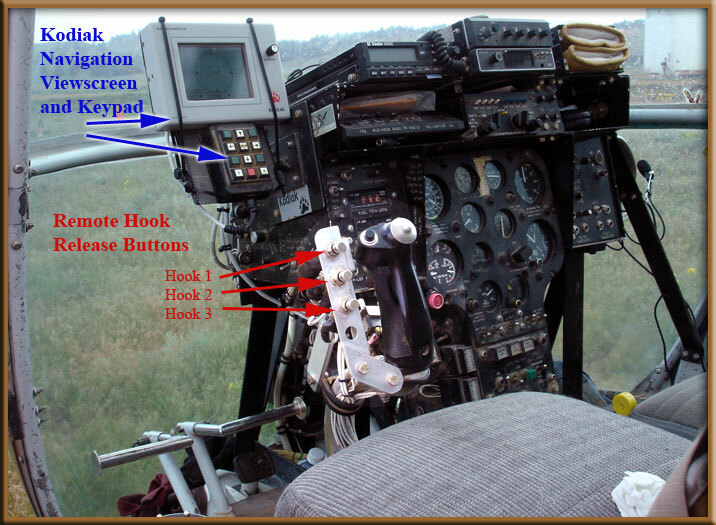 Our Turbine Engine Hiller Soloy can lift 600-800 Pounds on the "Long Line" depending on Altitude, Temperature and Wind Conditions. 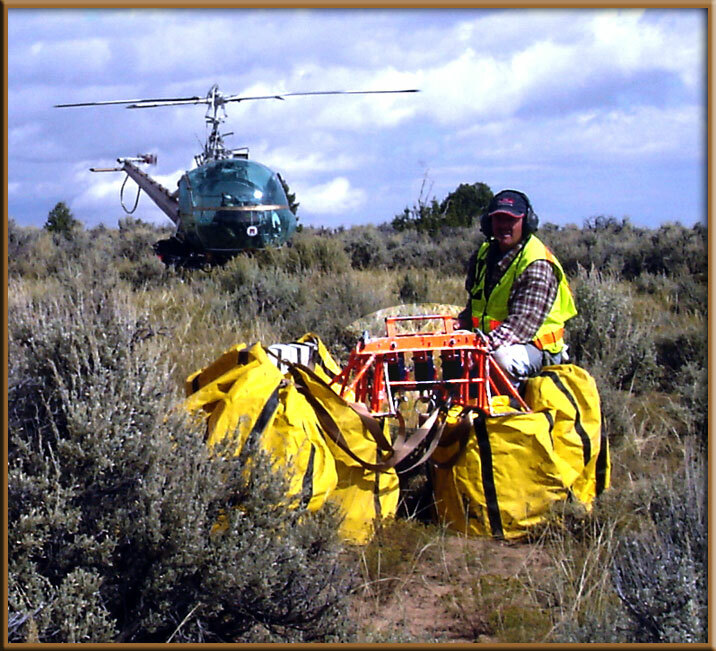 Customer's Cargo can be transported in the Big Yellow Cargo Bags, or a single load in a large Cargo Net, or the cargo can be attached directly to the Remote Carousel Hook. 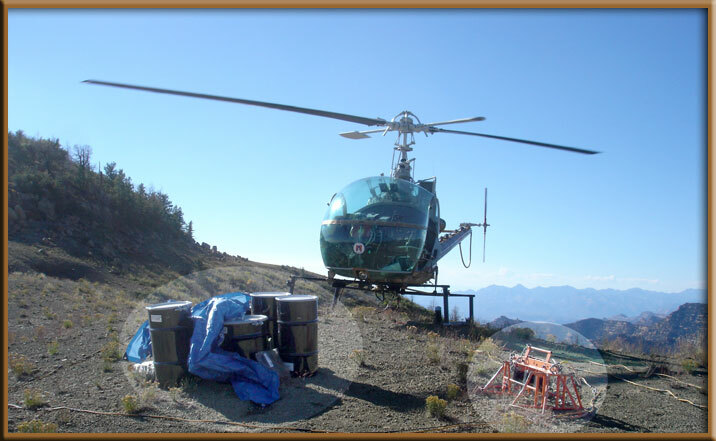 Customer's Cargo that we have "Long Lined" into remote areas have included Camping and Construction Supplies, Search and Rescue Equipment, Seismic Exploration Equipment, etc. James Richards, Call for Flight Scheduling and Questions?